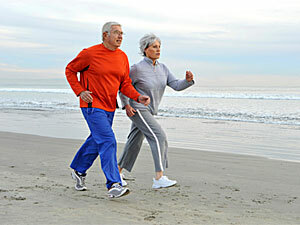 Canadian researchers say heart patients should aim to move every 20 minutes if they want to live longer. Seven minutes of activity — such as standing up and light walking every 20 minutes, adding up to 21 minutes of movement for each hour spent sitting — is being advised for patients with coronary artery disease. Previous research has shown that being sedentary for long periods can hasten death, but taking exercise breaks can lessen the risks, especially when burning more than 770kcal (3220kj) a day in “free living” energy expenditure. “Our study shows that heart patients should interrupt sedentary time every 20 minutes with a seven-minute bout of light physical activity,” said study author Dr Ailar Ramadi. “There is a lot of evidence now that sitting for long periods is bad for health,” said Dr Ramadi. “Our study suggests that during each hour of sitting time, heart patients should take three breaks, which add up to 21 minutes of light physical activity.